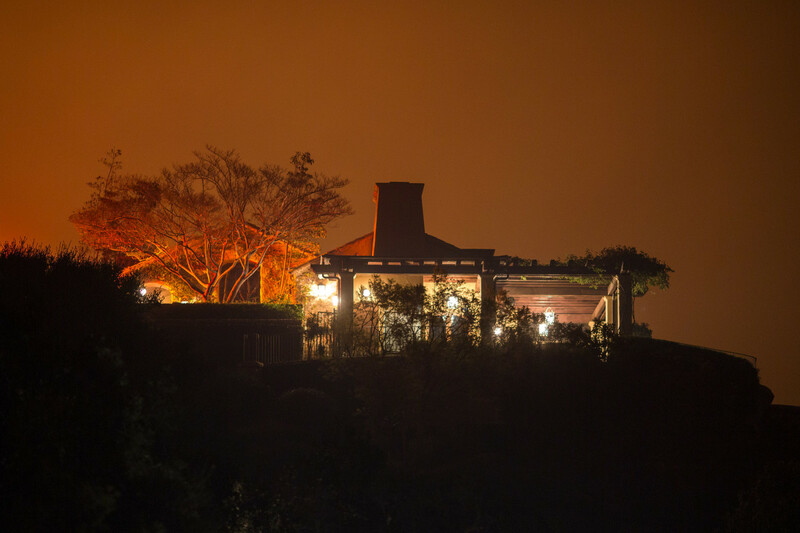 The Thomas Fire approaches a home on December 12th, 2017, in Montecito, California. As a December megafire continues to spread, there are new indications that occasionally extreme fire weather will persist across Southern California for at least two more weeks, with an urgent new weather forecast for the next few days. California&apos;s terrifying, Dantean December will last a little longer. 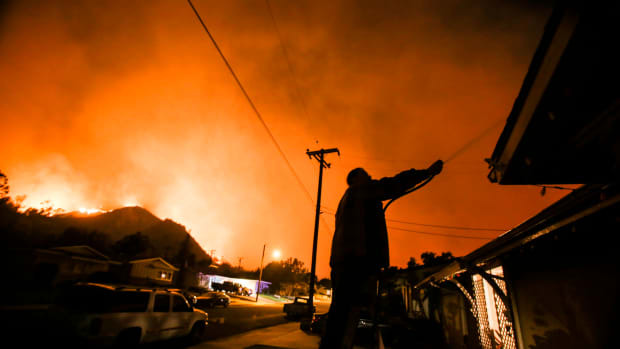 Fire crews are rushing to build containment lines and fire breaks to protect coastal communities before the stronger winds arrive, the Los Angeles Times reports. 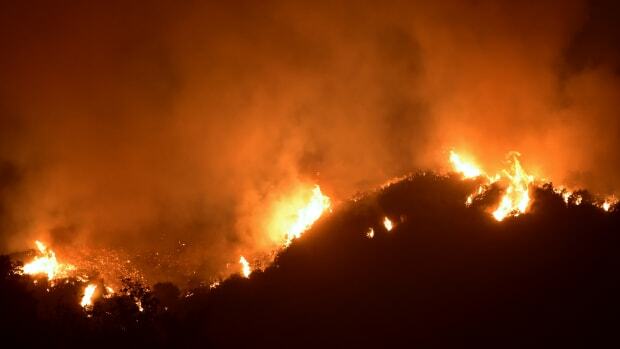 "When the wind starts pushing it, we can throw everything we have at it and it&apos;s not going to do any good," said Mark Brown, an operations section chief for the California Department of Forestry and Fire Protection. 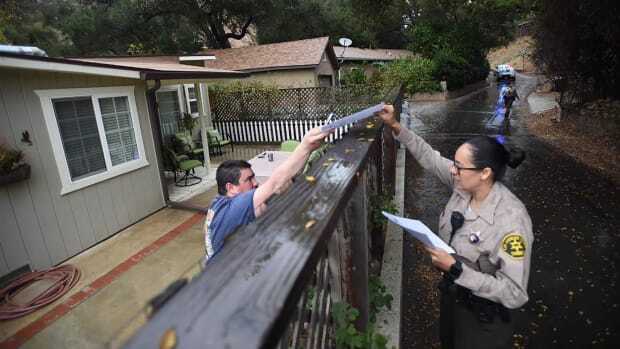 It&apos;s been more than 250 days since it rained in Southern California. This combination of extremely dry conditions, warm temperatures, strong winds, and continued lack of rain has produced an unprecedented potential for rapid fire growth in the middle of the rainy season. In an interview with Pacific Standard, Swain says that, given the unusual weather conditions, the Thomas Fire "has the potential to become the largest fire in California history." That spot is currently held by 2003&apos;s Cedar Fire in San Diego, which burned more than 2,800 homes and buildings and grew to more than 270,000 acres. Swain&apos;s own research has linked human-caused climate change to an increased intensity and likelihood of unusually persistent warm winters along the West Coast. 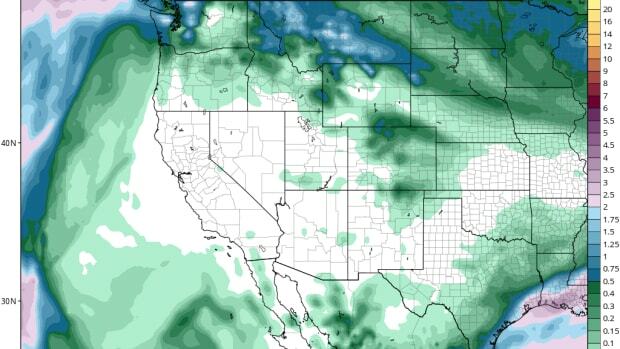 New research released this month by a different group of experts found a previously undescribed connection between melting Arctic sea ice and persistent wintertime drought in California. The combination of these effects amounts to an atmospheric chain reaction that could already be making fire seasons linger later in the year—exactly what seems to be happening now. 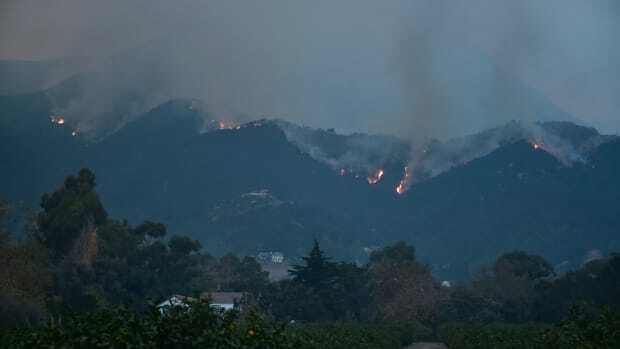 "Much of this area contains tinder-dry mixed chaparral and forest," Swain says, "a pretty explosive mixture under current weather conditions." 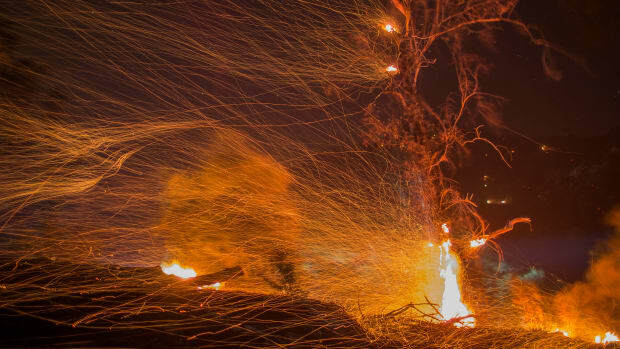 As fire conditions intensify around the globe, scientists are helping countries prepare for a fiery new normal.